Numbers are everywhere; but they are abstract ideas. One book, one car and one toy have the same number 'one' but they are all different things. It takes a lot of repetition before your child really understands that numbers tell us about 'how many' not about the actual object itself. 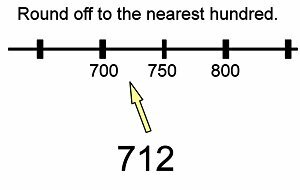 Number sense is at the heart of the concept of numbers or understanding numbers. This skill is vitally important for your child to master in order to excel in Math. Without it, numbers are meaningless and impossible to understand. Numbers are written in symbols - 1, 2, 3 and so on. These symbols are also called numerals. They can also be written in words - one, two, three and so on. 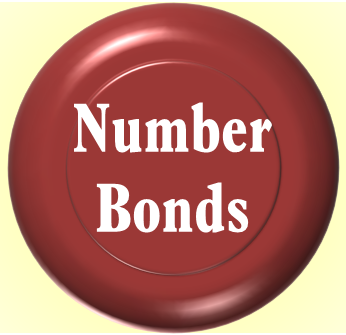 Print out this set of numbers used in the video to teach your child about numbers. Teach them to recognize the symbol of the numbers and their names. 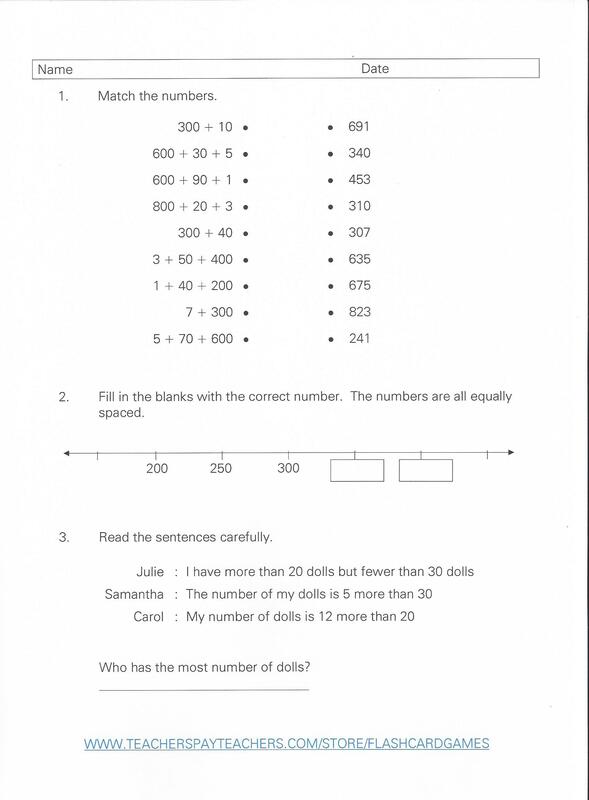 Help them realize that numbers occur in a fixed order by asking questions like: What number comes after? What number comes before? Which number comes first? Print out 2 sets of the chart. Use 1 set as a reference that your child can refer to for help. Cut the numbers out from the other set. Teach a range of numbers each day. 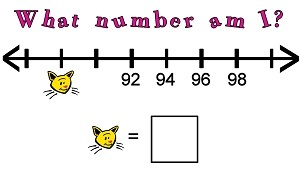 Jumble up the numbers and ask your child to name the numbers at random. 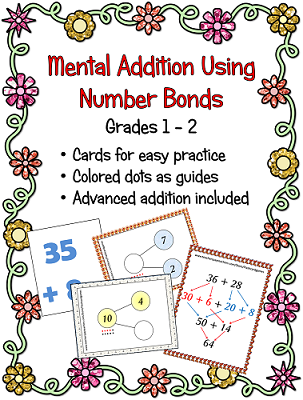 Use the picture cards to cover some of the number on the chart to see if your child can name the hidden numbers. Here are some pdf worksheets to use with your child. Frequent practice makes it easier for them to remember, especially when it comes to learning the spelling of numbers. 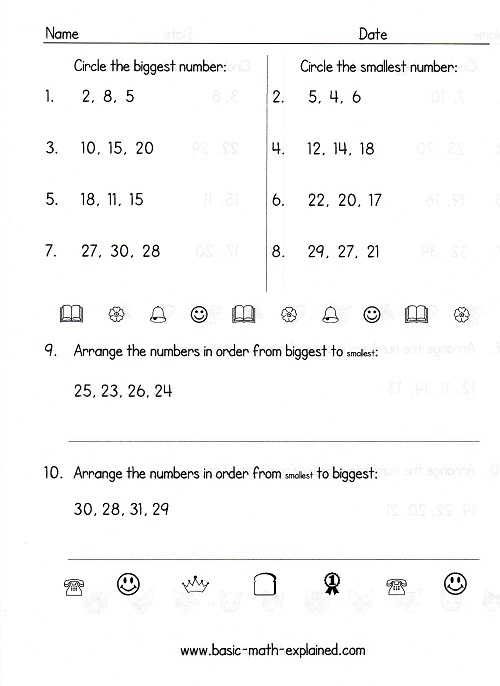 You can print the worksheets in any order you like. You can also set your printer to print 2 pages on one sheet of paper. After learning the names of the numbers, the next step is to teach them to count - that is, to associate the name of the numbers with the quantity of items. Counting is crucial in helping your child make sense of numbers. When your child recites 1, 2, 3, he is learning the names of numbers. He also learns that numbers occurs in a fixed pattern or order. By matching the number to an object during counting, he learns that numbers tell us about quantity; numbers have meaning.When we count, the last number tells us the quantity. There are many fun ways to teach your child about counting. 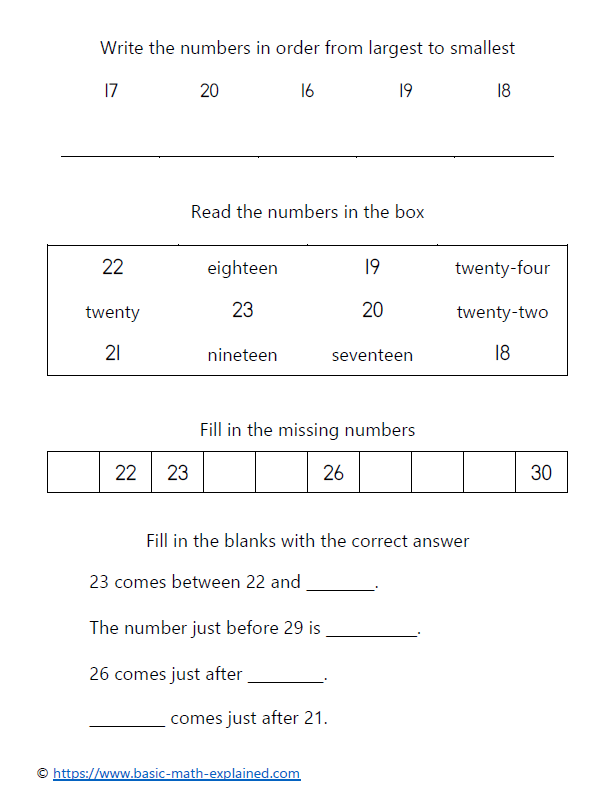 Click here to learn about Counting Numbers. Here is a game to practice forming different types of numbers. 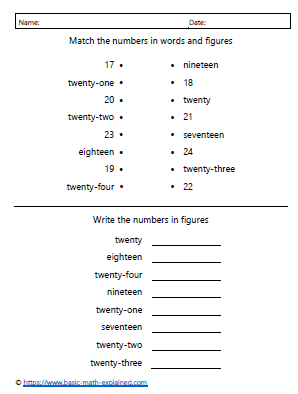 Get more number sense cards here. Once your son or daughter understands about numbers, counting and quantity, he or she is ready to learn other important Math concepts like more than or less than, equal to, number bonds and many others. 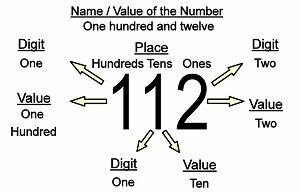 Click here for fun Number Sense Cards. Once your child has mastered Counting Numbers, it is time to play around with numbers. We will be exploring basic Math skills like comparing numbers. 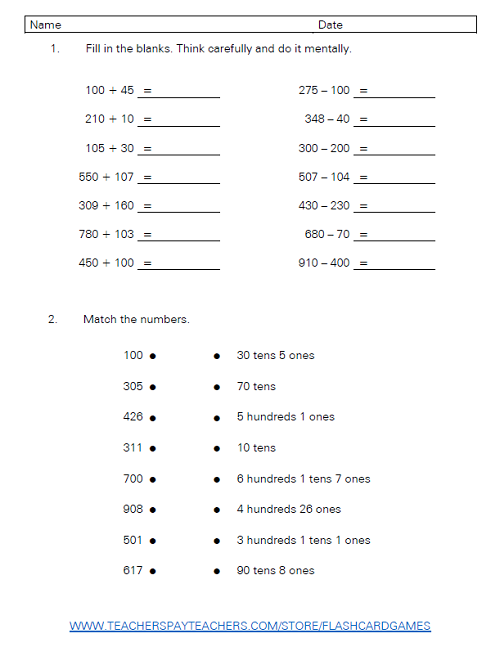 Your child needs learn to evaluate numbers: which number is bigger, how to arrange numbers in ascending order and so on. 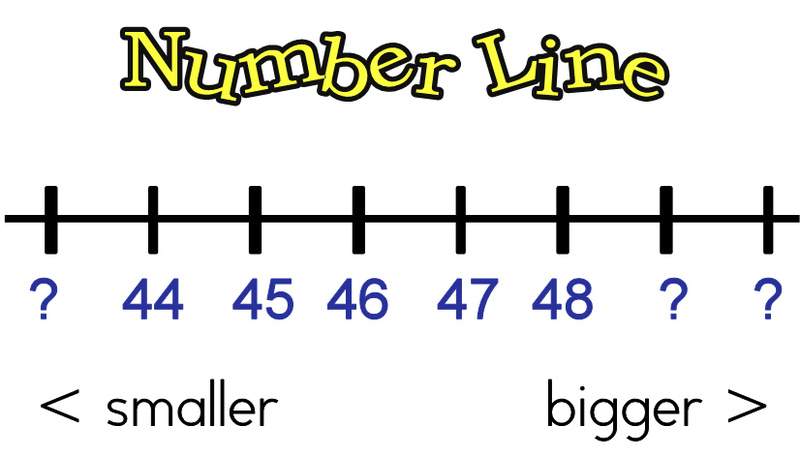 We will use a Number Line to show how numbers relate to each other. This shows, in a visual way, how numbers relate to each other. Click here to go to Basic Math Skills. Try this worksheet on the right with your child. For larger numbers, we start by learning about digits and the place they occupy in the numbers. All numbers are made up of digits. There are only ten digits: 0, 1, 2, 3, 4, 5, 6, 7, 8 and 9. We use different combinations of these digits to write all other numbers. For very large numbers, we must understand the place-value system. Each number has a specific combination of digits in a specific place. The Zero digit has a very important part to play in this system. Click here to go to this topic. Click here for explanations of Math Terms.